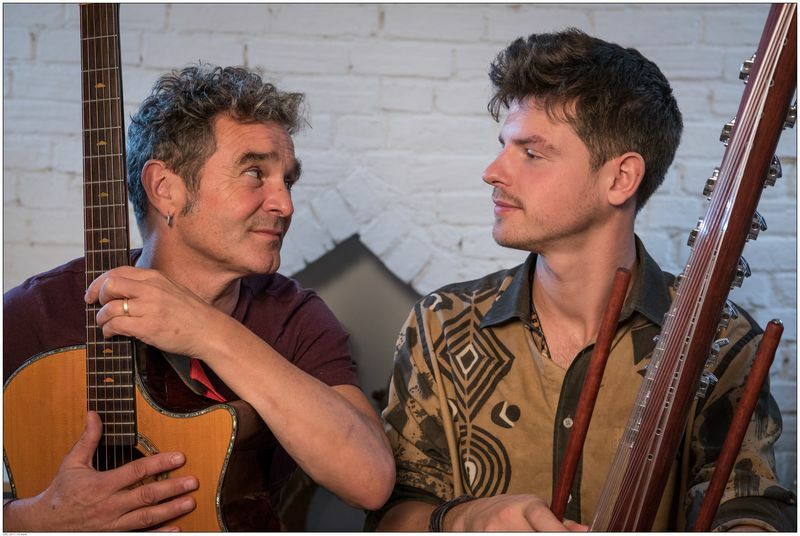 Tim( Guitar ) and Josh (Kora) met in Mali West Africa whilst both playing at the festival Segou. As Korason they have paid their respects to traditional Kora music but are also incorporating original tunes and modern rhythms. Josh is a second generation british Kora player who has trained under Toumani Diabaté and Sekou Keita. Tim is a busy session percussionist and guitarist who plays styles from across Africa and South America. The combination of the two player’s passion creates a sound that soothes, inspires and excites.